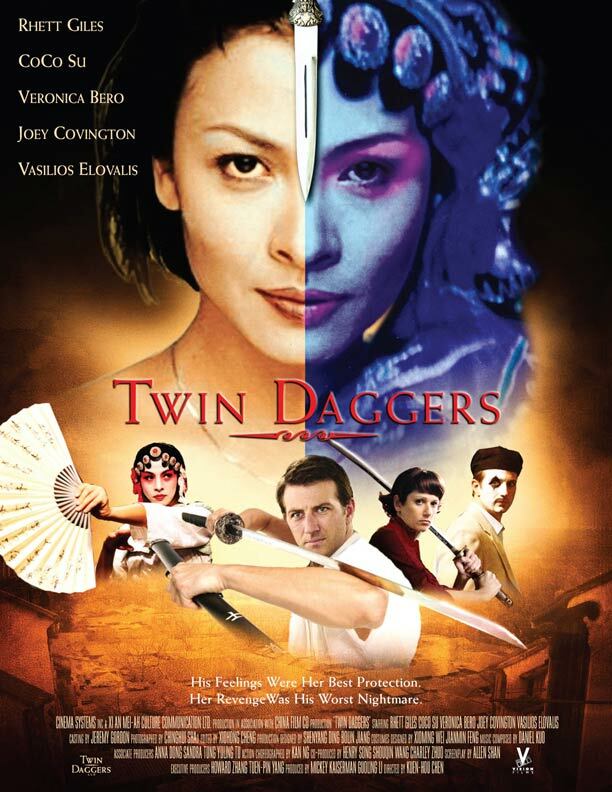 In the 1930's, a famous Los Angeles underworld hit man, Scholar (Rhett Giles) and a band of trained assassins are hired by the exotic and beautiful Kay Moi (Coco Su) to avenge her parent's death by the hands of her equally stunning twin sister. 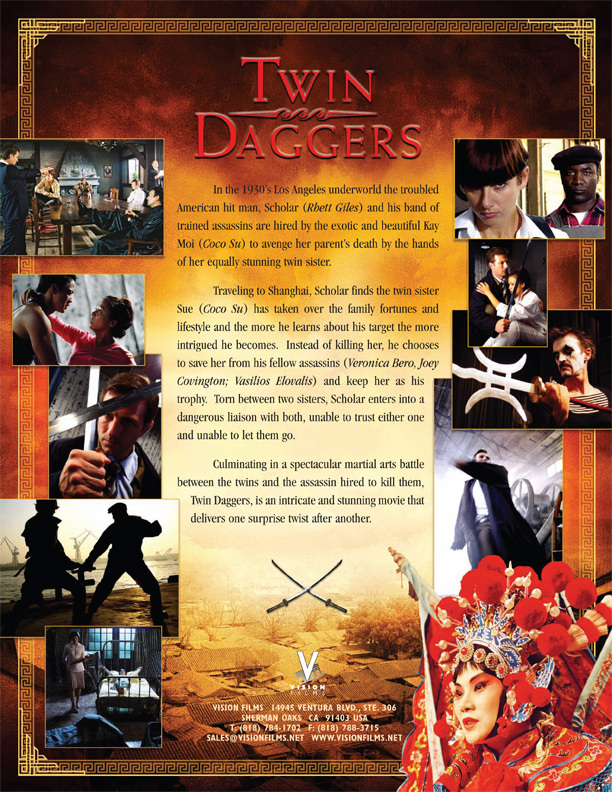 Traveling to Shanghai, Scholar finds the twin sister Sue (Coco Su) has taken over the family fortunes and lifestyle. The more he learns about his target, the more intrigued he becomes. Instead of killing her, he chooses to save her from his fellow assassins (Veronica Bero, Joee Covington, Vasilios Elovalis) and keep her as his trophy. 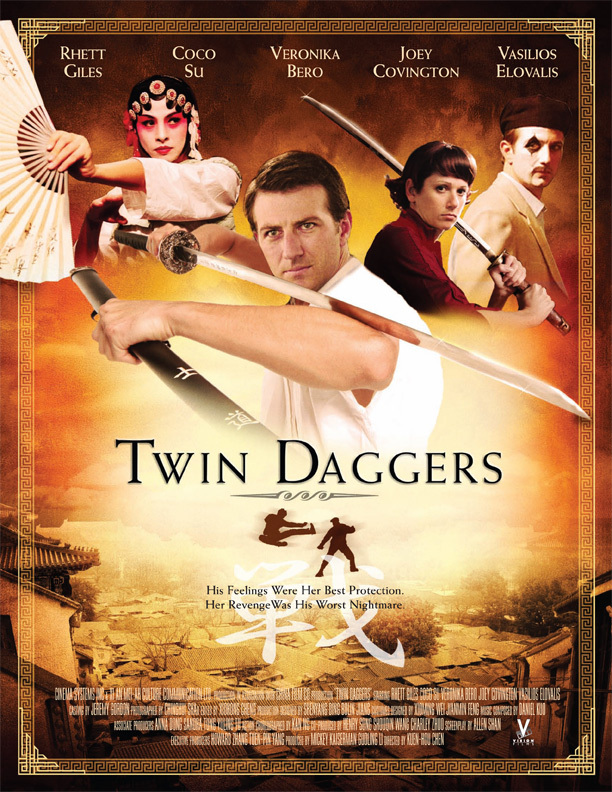 Torn between two sisters, Scholar enters into a dangerous liaison with both, unable to trust either one and unable to let them go. 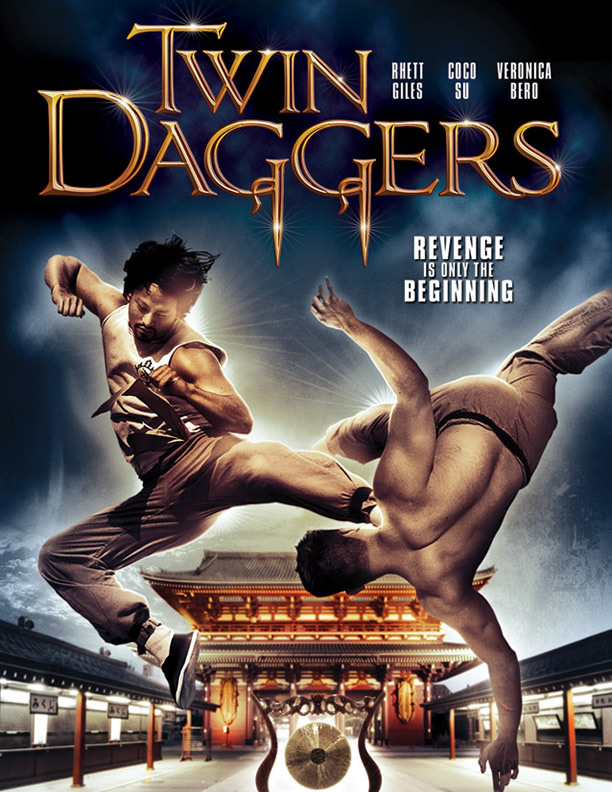 Culminating in a spectacular martial arts battle between the twins and the assassins hired to kill them, Twin Daggers is an intricate and stunning movie that delivers one surprise twist after another.